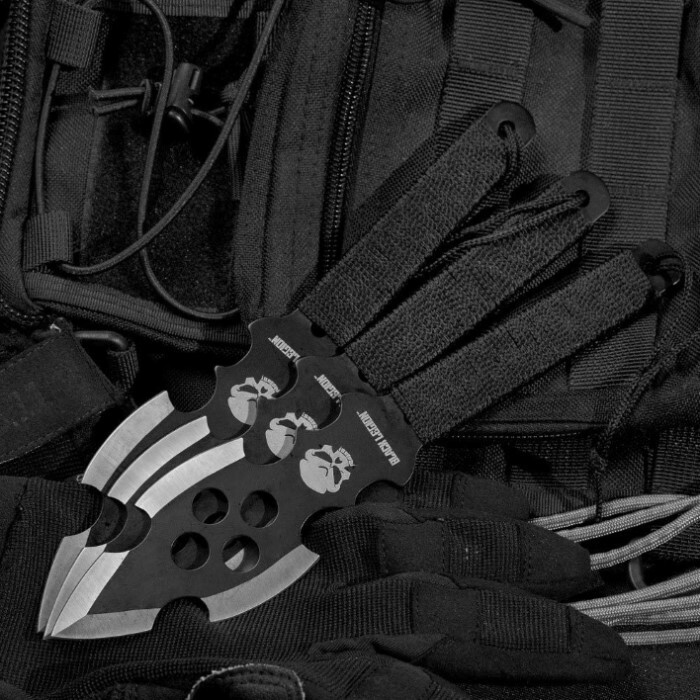 Unleash maximum disorder upon your target with our Disruptor Quad Edge Throwing Knives! Wickedly designed, the wide tips hit hard and feature four cutting edges. The blades have a full tang construction with cord wrapped handles, and are forged from stainless steel with black finish. Includes sheath with belt loop for easy storage and carry. 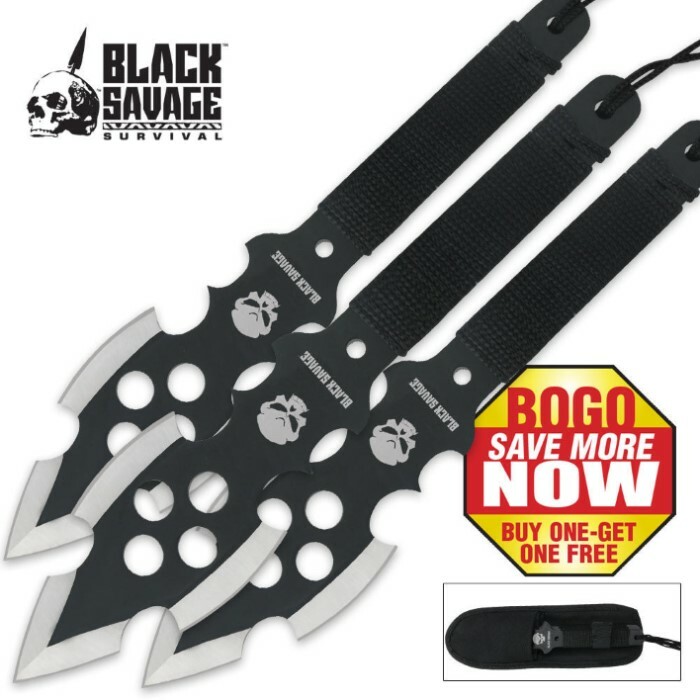 Each throwing knife measures 9 in. overall. I just received mine and they have good balance and are reasonably sharp. I also like their size. I'm looking forward to throwing them and see how they perform. I got two sets of these as part of a BOGO deal. I really enjoy these knives! The wrapping around the handles come off easily but you don't really need them (I just took them all off). I was very satisfied with this product. Little hard to throw at first but with some practice i can stick them good.